In the process of globalization, mobility has become characterized by ambivalence. On the one hand, we are witnessing ever greater control of the movements of migrants, and on the other, a rich elite can travel freely all over the world. The free flow of people, capital and goods within the Schengen Area has required an increasingly stricter policing of its external borders. Combined with innovative digital techniques, this has led to a shift from a system of control to a proactive system of selection and exclusion. Globalization is generally (and certainly from the point of view of modernism) directly associated with homogenization, a process in which the world evolves into a unified whole – the global village. The speed with which goods and people travel across the globe has risen exponentially and is constantly increasing. Thanks to technological innovations, distance and time are becoming less and less relevant. Hybrid cultural expressions confirm this picture of uniformity. Millions of ideas are spread all over the world every day via the Internet. Nobody blinks an eye anymore at phenomena like ‘Thai boxing girls in Amsterdam, Asian rap in London, Irish bagels, Chinese tacos and Mardi Gras Indians in the United States or Mexican schoolgirls dressed in Greek togas dancing in the style of Isadora Duncan’.1 Political initiatives tie in with this by propagating an open border policy. Within the Schengen Area, whose territory nearly coincides with that of the European Union, internal border controls have been abolished. Here, the free movement of people, goods, capital and services is a reality. However, the same forces that reinforce this picture of a uniform, universal world are also at the bottom of the discord and divisions on earth. ‘Globalization divides as much as it unites; it divides as it unites,’ writes Zygmunt Bauman in the introduction to his book Globalization: The Human Consequences.2 According to Bauman, the processes and technologies that lead to homogenization are the same as those that further polarize the world into an elite that travels freely around the globe and a majority that is stuck in local social circumstances in which it can no longer find protection against competition from other markets, precisely because of that time / space compression. The ‘unity of mankind’ is a dubious notion, and a ‘hybrid lifestyle’ seems reserved for a minority. It soon becomes clear that the open border policy is attended by a dual movement. The liberalization of commerce and finance at the international level has brought with it a fear of crime, illegal immigration and terrorism. This has led to political calls for re-establishing the power of the border. This development is a departure from the idea of the emergence of a borderless world in which flows of capital and people move freely. Globalization affects everybody; there is no going back. Yet self-assertion for an (intellectually and materially) ‘open’ society, to which the processes of globalization have brought us, is equally out of reach. Whereas the idea of progress used to be characterized by optimism, this has now turned to fear. Until recently, the state border was the locus for the regulation of mobility. The supervision of transnational flows of people, goods and information – and its filtering out where necessary – was one of the four basic functions of the Westphalian State vouchsafed by the border.7 The other functions of the border were as territorial boundary of the sovereignty of the state, as an instrument for building a national identity and as a ‘closed power container’ for the military defence of the state. Thus, security at the border today is increasingly focused on a new set of sociopolitically loaded concerns such as drug smuggling, trafficking in humans and weapons, terrorism and asylum requests. Even though the nature of these phenomena varies widely, they are associated with one another because of their transnational character.10 New security methods are being developed and implemented every day. The importance of passports and identity papers, permissions to travel (invitations) and visas is increasing. The monitoring of individuals is shifting from localized, face-to-face encounters at the border to a technology of identification that can take place remotely and is kept in an electronic database. With the elimination of internal borders within the Schengen Area, perhaps the most important economic block of states today, fear of the negative effects of globalization such as terrorism, smuggling and migration has grown, and new techniques of control have been sought. Mobility regulation has been given absolute priority in order to reconcile freedom, one of the primary objectives in the European process of integration, with security. ‘Compensating’ measures have been implemented in order that the free movement of people, goods, capital and services not come at the expense of public order. To reduce transnational risks, the European Union has taken various measures. The primary objective of the Treaties of Rome (1957) was to eliminate the barriers that divided Europe. In the first instance, this led to the establishment of the European Economic Community, which created a common market. Within this zone, customs duties were no longer levied on mutual trade. Controls were still maintained at the internal borders, however. These were not abolished until the creation of the Schengen Area in 1985, when the Schengen Agreement was signed in the town of Schengen in Luxemburg. In this convention, Belgium, Germany (then still West Germany), France, Luxembourg and the Netherlands agreed upon the measures needed to create a transnational space in which people could move freely. In 1990, these ‘compensating’, or ‘guiding’ measures were worked out in the Schengen Implementing Convention. Shortly afterward, Greece, Italy, Portugal and Spain also signed the Schengen Implementing Convention, which came into force in 1995. Entering the Schengen Area at a later date were Austria (1995), Denmark, Finland and Sweden (all three in 1996). The uk and Ireland decided not to join. However, Norway and Iceland did become Schengen countries (1997, even though they are not part of the eu. With the Treaty of Amsterdam (which went into effect in 1999), the Schengen Acquis (or rules) became part of the eu treaties. Since the Treaty of Amsterdam, the southern boundary of the Schengen Area has coincided with that of the European Union. The treaty also implied that any member state entering the Union after this automatically becomes part of the Schengen Area as well. The countries that joined the eu in 2004 (Cyprus, Estonia, Latvia, Lithuania, Hungary, Poland, Slovenia, Slovakia, the Czech Republic and Malta) and in 2007 (Bulgaria and Romania) thus automatically became members of the Schengen Area because of the Treaty of Amsterdam. Switzerland also has joined the Schengen Area. Accordingly, when the Schengen Implementing Convention came into force in 1995, a double enclosure was erected around Ceuta. The walls were outfitted with sophisticated security systems such as thermal and infrared cameras. Pepper spray and razor wire formed an extra protection against anyone attempting to scale the structures, which ranged from 3.5 to 6 m in height. Around Melilla, a triple enclosure was even built. Later on, with financial help from the eu, the Spanish-Moroccan maritime border was also electronically protected through sive (Sistema Integrado de Vigilancia Exterior / Integrated External Surveillance System), a security system deployed along the coasts of the Iberian Peninsula and the Canary Islands. sive was implemented gradually, first with fixed and mobile radars along the Andalusian coast (2002) and later along the shores of the Canary Islands (2005). eu member states can also call upon rabit (RApid Border Intervention Teams) when confronted with a sudden influx of migrants. When the Schengen Area was created, the first priority was to combat organized and transnational crime. The ‘compensating measures’ implemented after the abolition of internal border controls involved not only strengthening external borders, but also improving collaboration between member states. One of the organizations assigned to this task was Frontex, an eu agency set up to carry out border inspections and additionally charged with making risk analyses. Frontex also sought methods of exchanging data between member states and countries outside the eu. An advanced database, the Schengen Information System (sis), was also created. This enables national authorities (responsible for border, customs and police controls within the Schengen countries) to exchange data on certain categories of people and goods. The political and judicial authorities of the member states decide whether a person should be registered in the sis. The information held by the member states in national networks (n-sis) is linked up to a central system in Strasbourg (c-sis). This allows any member state to share data with the others. Within the Schengen member states, there are more than half a million terminals with access to the sis. National sirene agencies (Supplementary Information REquest at the National Entry) form the human interface of the system and check the information put into in the database. By the time the Scandinavian countries joined in 1996, the technological capacity of the Schengen Information System had become inadequate. A decision was made to develop a second generation, sis ii, which in addition to integrating new member states in the database also integrates extra applications, such as the coupling of registrations (for example, between criminals and terrorist suspects) with the Visa Information System (vis), which keeps a record of all persons who apply for a visa. When it turned out that sis ii would not be ready in time, sis+1 was developed as a temporary solution in order to grant membership to the Scandinavian countries. Since the Treaty of Amsterdam, the need for sis ii has grown even greater, certainly in view of the Eastern expansion of the eu in 2004 and 2007. However, its completion was once again postponed, and a second temporary solution, an expansion of sis+1 called sisone4all, was adopted and is still being used. The laborious expansion of the sis is the reason some member states of the eu have still not yet been completely integrated within the Schengen Area, seeing as the sis is also used in the membership procedure for candidate member states, which must comply with the visa policy. First the sis is implemented. Only when results show that a potential member state is fully capable of carrying out the required external border control measures can the internal borders be abolished. Satisfactory results are thus a prerequisite for membership. According to Bigo, a culture of control holds sway in the eu. But here too, double standards apply, for not everyone is subject to the same degree of control. Using databases of information from police records and mixing them with records from the public sphere (social security, taxes, and so forth) and the private domain (insurance, credit bureaus, supermarkets), it becomes possible to categorize people and ultimately determine who should be checked further. This is a proactive approach, a risk management logic. Who represents a possible risk and who does not, who is dangerous and who is not, is determined beforehand. Mobility is not for everyone. Databases determine who has a right to it and who does not. This proactive stance forms the legitimization for the policy of a liberal eu that considers freedom of movement essential to its existence yet maintains strong external borders and monitors people. A proactive policy targets an action even before a law has been breached. Gathering and filtering information makes it possible to anticipate the behaviour of possibly dangerous individuals or groups. This is not about committing a crime, but about an indication that connects a potential crime with an individual or group. In order to normalize a majority and filter out a minority, the supervision and control of their movements must be given priority. The justification for monitoring migrants is weak in itself, but not in light of the fight against terrorism. Lumping transnational threats together provides support for the logic of ‘acting before it is too late’ – a logic that is very much alive in the public discourse. Moreover, the control of societal risks should not be viewed purely as a police responsibility. An entire spectrum of risk management systems should be considered: not just special architectural facilities such as asylum centres and detention zones in airports, the adoption of emergency decrees, administrative measures such as the regularization of undocumented migrants and mutual agreements among governments concerning transport costs for deportation, etcetera, but also the role of public discourse. The term ‘ban’, according to Agamben, refers both to exclusion from society and the sovereign’s power to suspend the law.30 Bigo gives it a broader interpretation, however: he connects the notion with a general form of policy he calls ‘the management of unease’, which is developed through routines and technology by professional politicians, the police, judges and the constitutional state. The ‘ban’ is a way of excluding and normalizing, of using computer databases to create profiles and subsequently determine who is allowed to move freely and who is not. The objective is to determine beforehand who forms a possible threat to Europe and who does not. The labelling of certain people as ‘illegal’, ‘criminal’, ‘terrorist’ and so forth can thus easily proceed, with the argument that it is better not to wait ‘until it is too late’. The Ban-opticon lets us realize that controlling a particular group of people’s mobility, and thus not everyone’s, has unarguably become the leading trend in the age of globalization. 1. N.J. Pieterse, quoted in: J. Friedman, ‘The Hybridization of Roots and the Abhorrence of the Bush’, in: M. Featherstone, S. Lash (ed. ), Spaces of Culture (London: Sage, 1999), 236. 2. Z. Bauman, Globalization: The Human Consequences (Cambridge: Polity Press, 1998). 3. Z. Bauman, Liquid Times: Living in an Age of Uncertainty (Cambridge: Polity Press, 2007), 5. 5. Bauman, Globalization, op. cit. (note 2), 2. 6. D. Bigo, ‘Frontier Controls in the European Union: Who is in Control?’, in: D. Bigo and E. Guild (ed.) Controlling Frontiers: Free Movement Into and Within Europe (Aldershot: Ashgate, 2005), 87. 7. The Peace of Westphalia (1648) is crucial to the concept of sovereignty. Since then, there has been no higher authority than the state. 8. G. Blake, ‘State Limits in the Early Twenty-First Century: Observations on Form and Function’, in: Geopolitics, vol. 5 (2000) no. 1, 1. 9. D. Bigo, Globalised (in)Security: the Field and the Ban-Opticon, 2006, 41, found at www.people.fas.harvard.edu (last viewed on 6 January 2011). 10. W. Walters, ‘The frontiers of the European Union: A Geostrategic Perspective’, in: Geopolitics, vol. 9 (2004) no. 3, 674–698. 11. M. Poster, ‘Database As Discourse, Or Electronic Interpellations’, in: P. Heelas and S. Lash, (ed. ), Detraditionalization (Oxford: Blackwell, 1996). Also see: Bauman, Globalization, op. cit. (note 2), 50–51. 12. L. De Cauter, ‘De panoramische blik’, in: idem, De Archeologie van de kick. Over moderne ervaringshonger, 2nd edition (Nijmegen: Vantilt, 2009), 69–104. 13. The panoptic dispositif originated with the plague. See M. Foucault, Surveiller et punir. Naissance de la prison (Paris: Galimard, 1975), 197–201. 15. Bauman, Globalization, op. cit. (note 2), 51. 16. X. Ferrer-Gallardo, ‘The Spanish-Moroccan Border Complex: Processes of Geopolitical, Functional and Symbolic Rebordering’, in: Political Geography, vol. 27 (2008) no. 3, 304. 17. Strictly speaking, these are not enclaves, as both Ceuta and Melilla have access to the Mediterranean. However, this is an established term when referring to the towns. 18. An exception was made for the inhabitants of Tetouan and Nador, who can use a day visa, by virtue of a dispensation in the Schengen Agreement. 19. 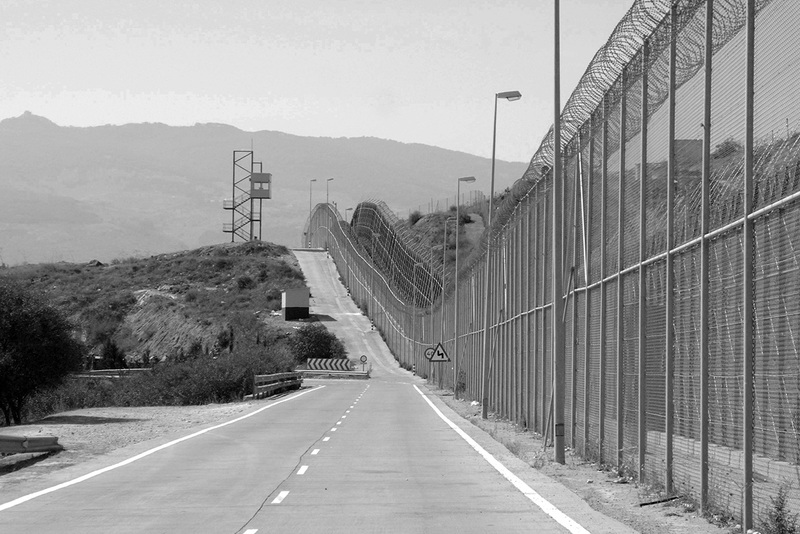 Ferrer-Gallardo, ‘The Spanish-Moroccan Border Complex’, op. cit. (note 16), 311. 21. European Commission, 18-10-2005, Technical Mission to Ceuta and Melilla on Illegal Immigration: Mission Report 7th–11th October, 2005, 7. 22. M. Besters, ‘De schaduwzijden van het Schengen Informatiesysteem’, in: G. Munnichs, M. Schuijff and M. Besters (eds. ), Databases. Over ICT beloftes, informatiehonger en digitale autonomie (The Hague: Rathenau Institute, 2010), 76. 25. Bigo, ‘Frontier Controls in the European Union’, op. cit. (note 6), 46. 26. Bigo, Globalised (in)Security, op. cit. (note 9), 40. 28. As a ‘machine’ that uses different institutional, material and administrative mechanisms and representations to establish and maintain power in a particular place. 29. Bigo, Globalised (in)Security, op. cit. (note 9), 34. 30. G. Agamben, Homo Sacer: Sovereign Power and Bare Life (Stanford, CA. : Stanford University Press, 1998). Charlotte Lebbe is reading European Studies at the University of Bath. She graduated last year from the University of Leuven as an architect. Her Master’s thesis, De terugkeer van harde grenzen. Een biopolitieke blik op Fort Europa, (The Return of Hard Borders. A Biopolitical Look at Fortress Europe) received the Karel Verleye award.